Term 2 has started, and with it comes the lunchbox dilemma every day. I want to include enough food, with plenty of healthy options. Dried fruit, pre-packaged fruit and fresh fruit are all great choices for active kids at school, and here are some of the ways I make fruit fun! 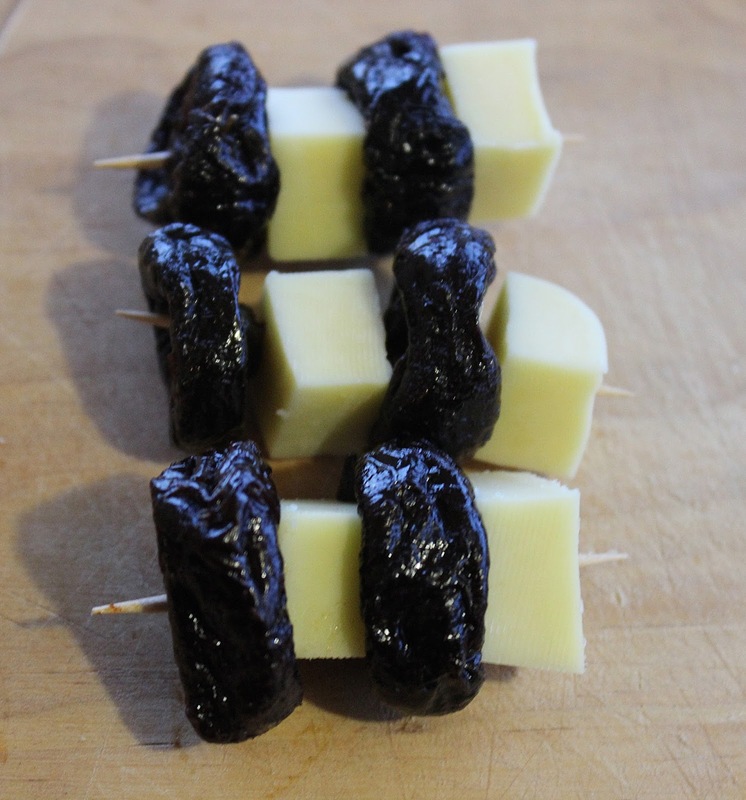 Fruity Bites- I thread cheese cubes and prunes onto small toothpicks for a quick snack. 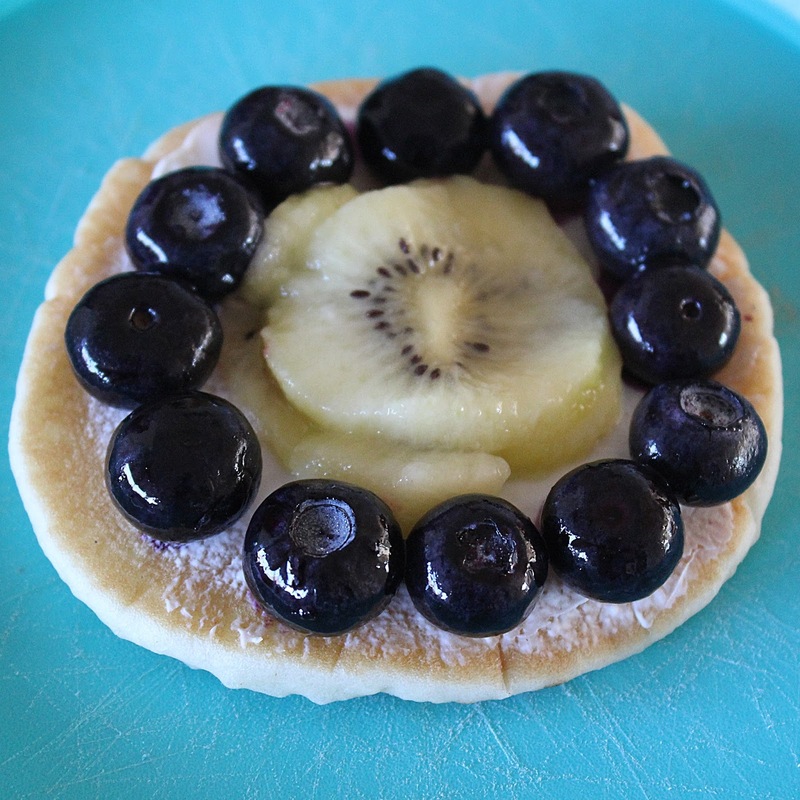 Mini Fruit Pizzas are great for breakfast, in a lunchbox or as an after school treat. Simply spread a pikelet with cream cheese and add fresh fruit on top. Draw faces on Fruit Cups to fancy up these store bought snacks. I have turned mine into fish, funny faces and birds so far this year. Apple Doughnuts work well if you know they will be eaten promptly. Slice an apple into circles and remove the middle, then spread on peanut butter and dot with raisins. Baking with fruit such as these homemade Apple and Date scrolls are always a hit with kids, and a great way to sneak fruits and vegetables into fussier children. 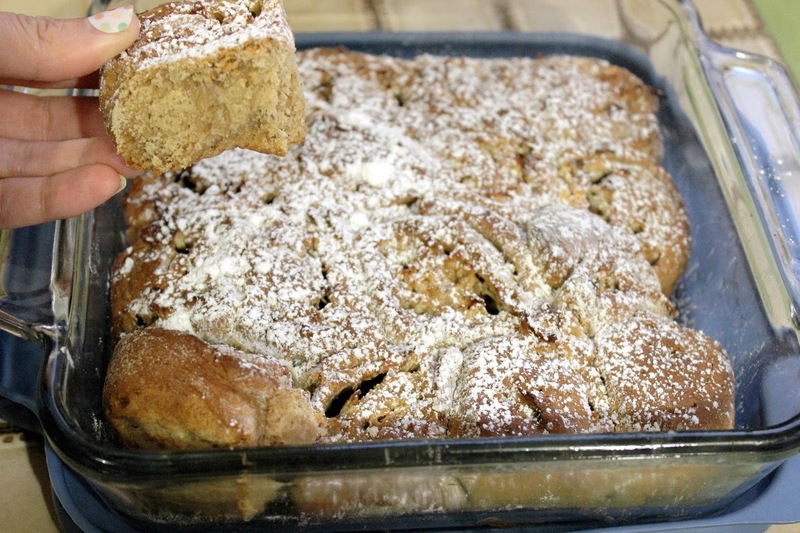 You can find the recipe here and it is great with different fruit combinations too. Apples are definitely a favourite in this house and Apple with Peanut Butter Dip is great for the days when we are rushed. 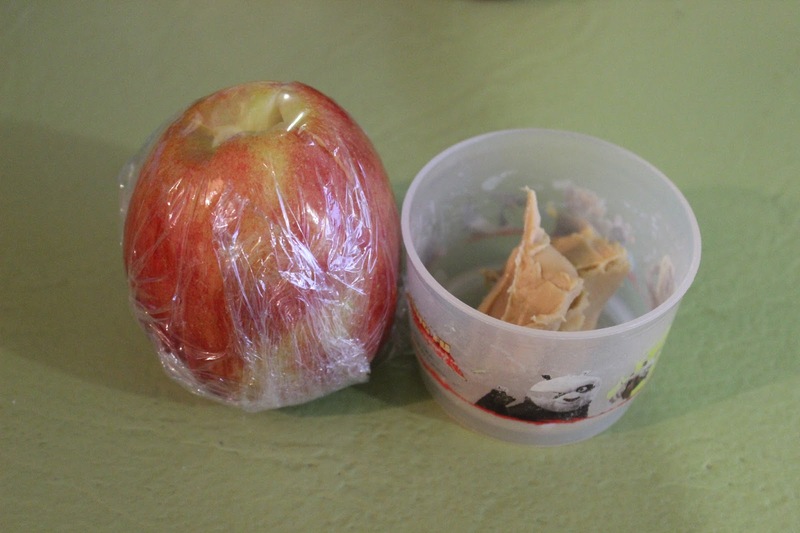 Simply quarter an apple, wrap and send to school with some peanut butter. Nothing beats a Fruit Salad as chopping up fruits seems to make my kids eat more. 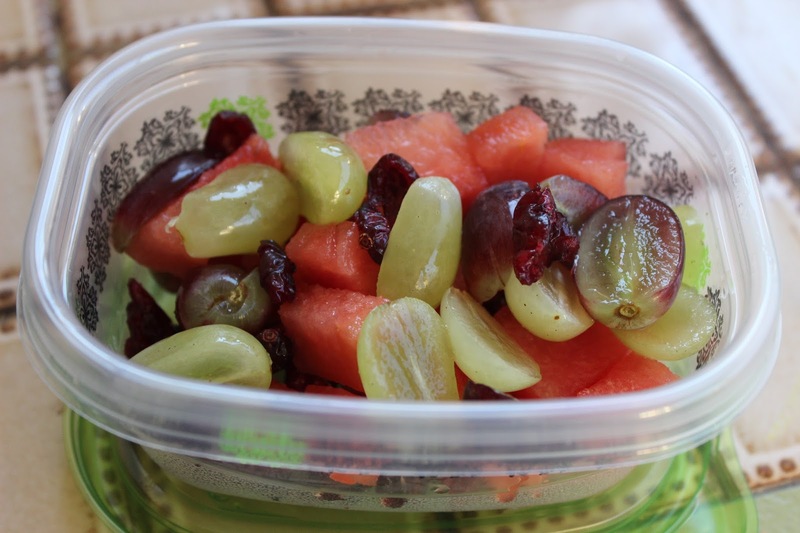 Any combination of fruits will do- here I have used watermelon, red and green grapes and dried cranberries in a small re-usable container to take to school. 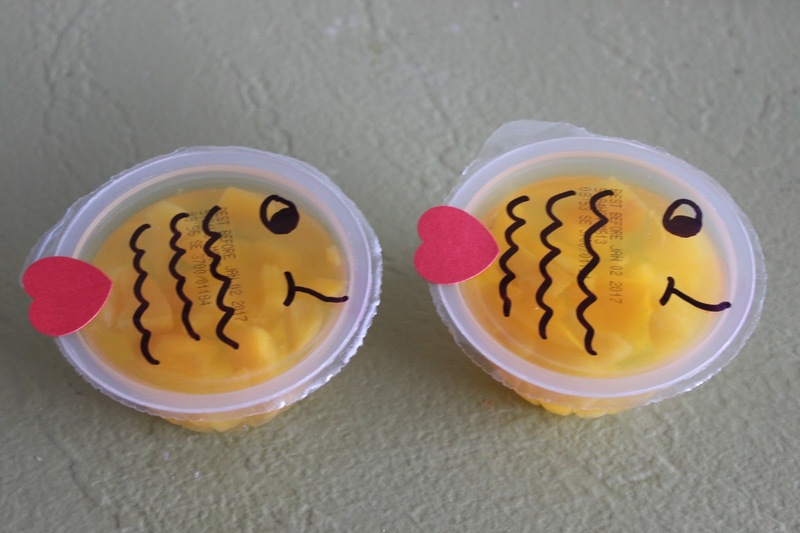 How do you encourage your kids to eat fruit in their lunchboxes?